DAP v4.7 has full-fledged and seamless integration with WooCommerce. 2) Download, install and activate the free WooCommerce plugin from WooThemes.com. 3) If you wish to sell recurring subscriptions via WooCommerce, then you’ll need to purchase their “WooCommerce Subscriptions” extension which is a paid extension, and starts at $149 for a single site license (please check their site for latest pricing details). If you are selling primarily digital products, then you probably won’t need WooCommerce. The DAP Shopping Cart (it’s FREE with your DAP purchase) itself is very powerful, supports a wide range of payment processors, and also supports 1-Click Upsells, Member’s-area Upsells (DAP Pay) and Coupons. However, if you are selling physical products, need an eCommerce store and store front, WordPress themes that come integrated with a store, need physical-product features like color, quantity, state and sales taxes, quantity discounts, VAT, size, etc – then WooCommerce is the answer! Integrating DAP and WooCommerce couldn’t be simpler. Just 1 simple step. If you are integrating subscription products with WC, make sure to read the last section in this article about ‘Subscription Product Integration’. You can pick ANY payment processor of your choice and integrate it directly with WC (Ofcourse you can only pick a payment processor that WC supports). No matter what type of payment processor you choose to use with WooCommerce, DAP can handle automatic membership account creation for all of your WooCommerce buyers. You can sell – physical products, one-time or subscriptions using WC, and as long as you have same name product in DAP (and in the same domain), DAP will automatically create a membership account. Your users can purchase 1 item or add multiple items to the cart and purchase them together – even if they’re different types of products – like 2 one-time products and 1 subscription product. DAP has a built-in hook into WooCommerce, and can instantly create user accounts and give access to all of the products that the user has just purchased. DAP supports automated cancellations and refunds with WooCommerce. When you process a refund or subscription cancellation in WooCommerce, then their access in DAP is also automatically revoked. WooCommerce does not send notification upon each subscription payment. Even if they do, their documentation is lacking in this area and their support responds with the standard – ‘we do not answer API questions’. Not helpful at all :(. But we always find a way to integrate third party systems with DAP if there is a demand from our users for the integration. Typically if it’s a subscription product, you need to define the product as a recurring product in DAP and set the subscription/recurring cycle in DAP. This way, upon the first payment, the users get access to just the 1st subscription cycle. Say it’s a 30 day cycle, then the users receive only 30 day access to product. After the 30 day period, if the next subscription payment goes through successfully, DAP will receive the payment notification and then automatically extend user’s access to product. DAP uses pay-as-you-go-model for subscription products. But because DAP does not receive the subscription notification from WC, if you want to give users automatic access to subscription product in DAP, set up the product as a one-time product in DAP Products Page => Pricing tab. The users will still be charged the subscription amount every recurring cycle automatically by WC, so it won’t matter that in DAP the product is setup as a non-recurring/ one-time product. You can control actual content access using ‘content dripping’. This way even though the users have full access to product, they cannot access the actual content under the product until their membership life matches the drip timer. If they cancel or request refund, DAP will automatically remove their access to product. Make sure to read the section in this article on ‘automated cancellations & refunds’. DAP can ONLY process ORDERS that are marked as ‘complete’ in WooCommerce. DAP cannot process ‘pending’ orders. If it’s a physical product and status does not get marked as complete automatically, then DAP will process the order only when the status changes to ‘complete’. For virtual / downloadable digital products, dap will process order right after successful payment (as long as the order gets marked as completed in WC). Will it work if woocommerce is installed in a subdomain? No. WooCommerce, DAP & DAPLiveLinks plugin need to be on the same domain. Do DAP’s Affiliate Module work with WC and DAP ? Yes, you can use WC to sell, integrate it with DAP so all the users end up in DAP, and then use the DAP’s built-in affiliate module to award commissions for referrals. This is awesome, Veena! I know how hard you’ve worked on the Woocommerce integration. Been too busy to test it out but I’m looking forward to really soon. Having DAP opens up so many doors for protection, affiliate management, shopping options, and overall store organization. Congrats. If a customer buys in WC, he has automatically access to DAP-protected pages ? Or do I have to create an extra / second DAP login (=2 accounts for 1 customer) ? >>This is awesome, Veena! I know how hard you’ve worked on the Woocommerce integration. Been too busy to test it out but I’m looking forward to really soon. Having DAP opens up so many doors for protection, affiliate management, shopping options, and overall store organization. Congrats. << Thanks Tanya :). >>If a customer buys in WC, he has automatically access to DAP-protected pages ? Yes, my customers will automatically get an account to DAP when they shop on WooCommerce (completed) subscription. This works fine! But when a customer logs into his WooCommerce account, he is not automatically logged into DAP (this DAP account has other credentials (USER + PASS) than WooCommerce). Yes, this is an issue with WC subscriptions as they force users to pick a username/password before purchase. We will have to add reverse sync from WP=>DAP to match the credentials. On our to-do list for DAP 4.7. Please open a support ticket with us and we will try to implement a solution for this on your site. “to-do list for DAP 4.7.” … that will be great! I don’t know if it is possible … my ideal solution would be: If you are logging into WC you are automatically and immediately logged into DAP (without being necessary separately log into DAP). I mean: Matching credentials are quite good, but without automatic login to DAP the customer would have an extra DAP login form again (= 2 login forms)? Do you have any idea when this might be ready? Were you able to implement it on this particular site successfully? I would love to be able to have this solution as well, if it's available. Thanks, Veena :). I am glad to know you’re working on it. Regarding the issue that Thomas raised about WooCommerce and DAP requiring separate logins…any idea when that might be addressed? I’m just trying to plan my attack ;). Thanks, Veena. Personally the Thomas issue is more pressing for me, anyway. So I’m glad to hear that one’s on the fast track :). I’ll just have to find a way to be creative about the other. will the one-click upsell function work when purchasing a product through Woocommerce ? The main reason is that i want to sell physical products and use the one-clik upsell function..
>>will the one-click upsell function work when purchasing a product through Woocommerce ? I am implementing DAP and WooCommerce. The issue we are having is that we sell some products (virtual and physical) that will not require a DAP account. For instance, an ebook. However DAP is trying to create an account even though there is no match. And the customer will receive an error email in this case. Is there something missing in our settings? The ‘reverse-sync’ issue between WP => DAP is now RESOLVED! I just tested the new update on a customer site and it worked well for her. So now if you create an account during WooCommerce checkout process, the account will get created in WP first, but it will be automatically sync’d to DAP. The user will have the same username/password in DAP and in WP. If they login to DAP, they will be auto-logged-in to WP. We will release the fix tomorrow. It will be part of DAP 4.7.2 / LiveLinks 1.11.2. Brilliant job Veena, thank you! It works perfectly. I continue to be amazed at how smoothly the WP/DAP sync works. In the next release of DAP, we will add a new configuration option that will allow you to turn off the ‘product not found’ notification email for non-dap products sold via WC or Paypal. Please note that this email ONLY gets sent to the administrators and NOT to the actual buyers/users. You can create an email filter to move these notification emails to a different folder for now. I’m already rocking this integration for one of my clients! However, one major thing that we’d like to be able to do is to list a product and then allow the visitor to select ‘physical’ or ‘digital’ version and be able to notify DAP only in the case that the digital product is selected. If I understand correctly, the way it works now is by notifying DAP any time a Woo product is purchased *that has the same name as a product in DAP*, so the only way to NOT notify DAP during a physical product purchase would be to create a separate listing for each physical product and digital product. That will make a storefront look messy very quickly! Thoughts? Is is possible to map across the customer address info from DAP upon purchase through WC? Yes, DAP stores the customer address info after a successful WC purchase. This feature is not in DAP 4.7.1 but it will be part of DAP 4.7.2 that we will be releasing shortly. Please note that currently DAP does not have separate fields for storing billing and shipping addresses. If shipping address is present in the WC order, DAP will store that in the user’s DAP profile otherwise billing info is stored in the user’s profile. DAP also stores the user’s billing phone number in the DAP profile. >> However, one major thing that we’d like to be able to do is to list a product and then allow the visitor to select ‘physical’ or ‘digital’ version and be able to notify DAP only in the case that the digital product is selected. That actually solves the problem quite elegantly because it means we can use just *one* listing for both the physical and digital versions of a given product. We’d just create a ‘variable product’ in WooCommerce, list the variations as ‘digital’ and ‘physical’ and mark them as ‘virtual’, ‘downloadable’ as needed. I’m sorry I’m so late back to the party! I missed the update that you’d commented here for me about the reverse sync. As always, I appreciate how awesome you guys are at addressing issues and making improvements. You are impressive :). Veena, I installed the new DAP, and latest woocommerce and learndash. However woocommerce and DAP each generate their own password. They are not sharing the password. Do I need to configure anything in either one so that they do ? Our plan is to use WooC to sell some physical products, books etc. with shipping by weight, that are completely separate from our memberships. No login or registration will be required to purchase a book. But we want to use DAP shopping cart with Authorize.net for the memberships. We don’t want our membership products set up as Woo products too. But we do want to sell the books at a reduced cost to members. Having trouble determining if this scenario is doable. Any advice would be appreciated. You can use DAP Shopping Cart to sell membership product and WC to sell physical products. You can use the DAP shortcode to determine if the user is a member and if yes, display the discount offer. My WooCommerce integration works pretty great – thank you! I would like to use “Grouped Products” with WC. 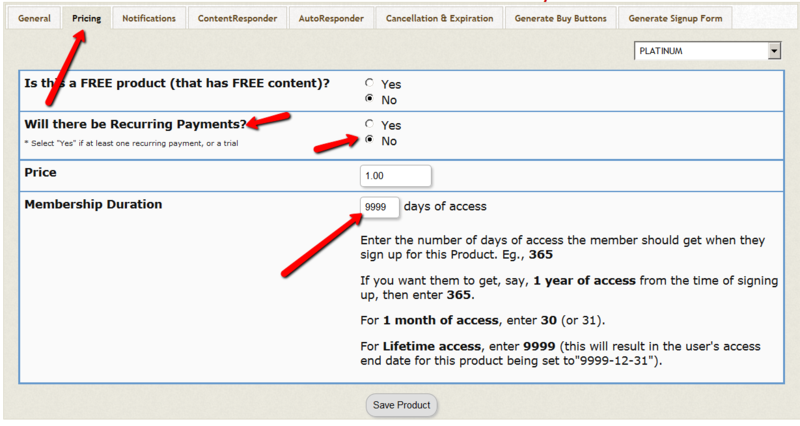 For example, I have a subscription product with monthly, quarterly, and annual pricing options. Ideally they would be grouped under “Subscription A” and the three options would be Linked Products (in WC’s nomenclature) under that Product Grouping. Any suggestions? Do you know if Grouped Products is even possible to integrate? if I add “→” to the DAP product name, do you think it will work? No, it’s not possible to integrate WC grouped products with DAP. DAP does not look at the individual products within the group. Create a product in DAP using the group name. This will allow DAP to recognize the group name. It will be just a dummy product. Use product chaining to connect this group/product in DAP to the individual products that has the actual content. Good day, i really need help with a integration with “Cielo” payment mode. Theres any way to do that? i REALLY need this help as soon as possible… i’ll buy this sistem because ai feel its the most powerfull i ever seen. No, DAP does not integrate with “Cielo” payment directly. If you find a plugin that integrates with Woocommerce and Cielo, then you can integrate the two and then integrate WC with DAP.